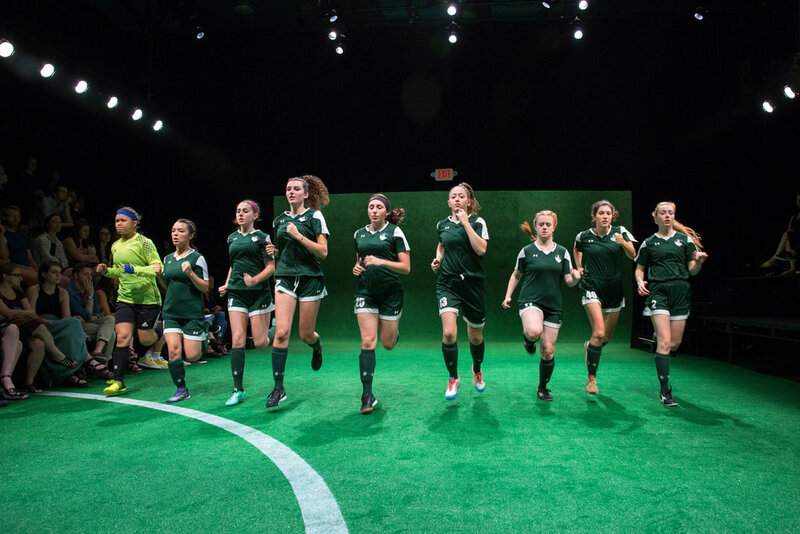 12 Wolves (Photo by Sara Krulwich/The New York Times, Contributed by The New York Times) - 12 Wolves will be set to perform at the Wilson Theatre at TAMU-CC Center for the Arts building at 7:30 p.m. April 15-20. The Texas A&M University – Corpus Christi Theater department are setting up for their spring 2019 season of memorable performances. Another play coming to Wilson Theatre for one night only is director Kelly Russell’s studio project titled “Passion Play.” “These plays are produced with minimal technical support,” explained Luna, “They focus on the performance skills of our students in an intimate environment.” This “date night” play will be live at 7:30 p.m. on Saturday, Feb. 23. One highlighted performance lined up is a production collaborating with the Harbor Playhouse, “Mamma Mia!” Directed Luna, chair of the department of theater and dance at TAMU-CC, this marks the first collaboration with the Playhouse and offers the performers an opportunity to perform for a month rather than a week. “Our students will get the opportunity and training to perform for an entire month rather than the limited week long run we typically have at TAMU-CC,” stated Luna. He also added that it will also give students to work in a larger auditorium of 446 seats and learn how a community theatre operates and produces shows. Luna also added that by collaborating with the Harbor Playhouse, it gives the students an opportunity to go bigger. “Our students get the benefits of a large cast with exciting dance numbers and a full orchestra of 9 members,” said Luna. 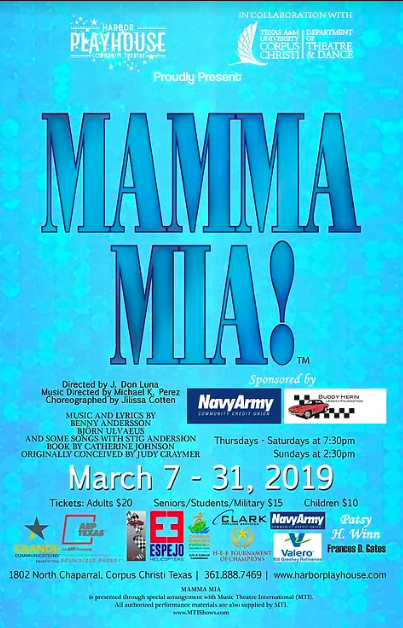 “Mamma Mia!” will be performed 7:30 p.m. Thursday-Saturday, and 2:30 p.m. Sunday starting March 7-31 at the Harbor Playhouse. Tickets are on sale $20 for general admission, $15 for military, students and seniors and $10 for children 13 and under. The Theatre department will conclude their semester with Sarah DeLappe’s Pulitzer Prize nominated “The Wolves.” “The writing is simply astounding and speaks to issues of the community, competition, coming of age issues, friendship and loss,” stated Luna on the production. Directed by Meredith Melville, assistant professor of Theatre at TAMU-CC, the play will run at 7:30 p.m. starting April 15-20 at the Wilson Theater. Tickets run for $10 and $7 for students with their Sand Dollar ID. For more information, contact the theatre box office at 361-825-5800 or e-mail [email protected].